NEW DELHI : DD Freedish India's Free DTH service held e-auction on 22 september 2015 (Tuesday). For this e-auction reserved price set to Rs.3.70 Crores per slot. Last e-auction completed on 15th August 2015. 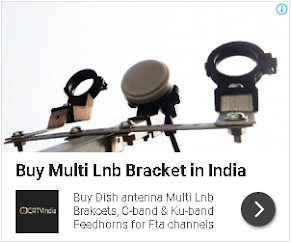 This time DD Freedish try to increase its channel up to 112 TV channels in few months. The e-auction will be conducted by C1 India Pvt. Ltd., Noida which is also conducting the FM Radio Phase III auctions on behalf of Prasar Bharati. WHAT ARE THE RESULTS OF 22ND E-AUCTION PLEASE? Great service. Now I am enjoying lot of tamil channels. Please inform about mpeg2 channels when will launch? Still it shows testing channels. Thanks a lot to your great service.